Virgin Australia’s Accelerate programme is designed for small businesses looking to make the most out of their loyalty to the airline. 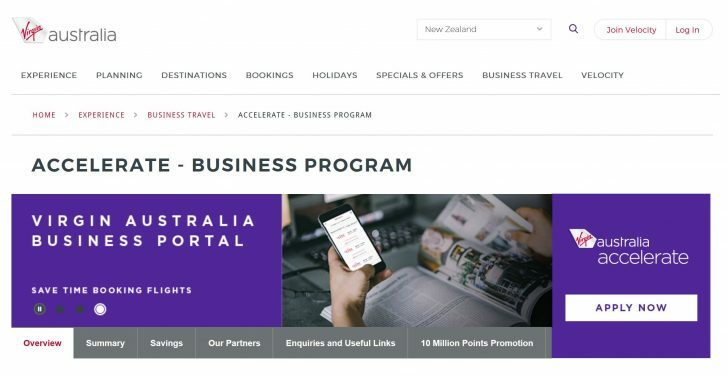 SMEs account for 97% of all New Zealand businesses, and the Accelerate programme offers a few more tangible benefits than the Air New Zealand Airpoints for Business programme – including a shortcut to Virgin Australia Gold status, along with flight discounts and travel credits. To be eligible to participate in Accelerate, you must hold an active New Zealand Business Number (NZBN) and have a New Zealand street address. Note that travel agents, travel management companies, travel wholesalers, air travel consolidators, or anyone re-selling air travel are not eligible to join the Virgin Australia accelerate programme. There is no cost to join Accelerate, and it’s as easy as filling in an online application through the Virgin Australia website. All employees travelling on tickets purchased through the Accelerate Programme continue to earn Velocity points and Status Credits. Pilot Gold is one of the best benefits. If your business spends $2,000 on eligible flights within the first three months, two employees can be chosen to receive Velocity ‘Pilot Gold’ membership. Consider this: Just one Business Class return journey Auckland to Perth flight will see you close to hitting the $2,000 qualifying threshold for Pilot Gold in one hit! Your business will then receive a fast track to Gold Status for two employees. Handily there are also no requirements in regards to holding a NZBN, such as how often you trade under it. Simply holding an active NZBN is sufficient to apply. 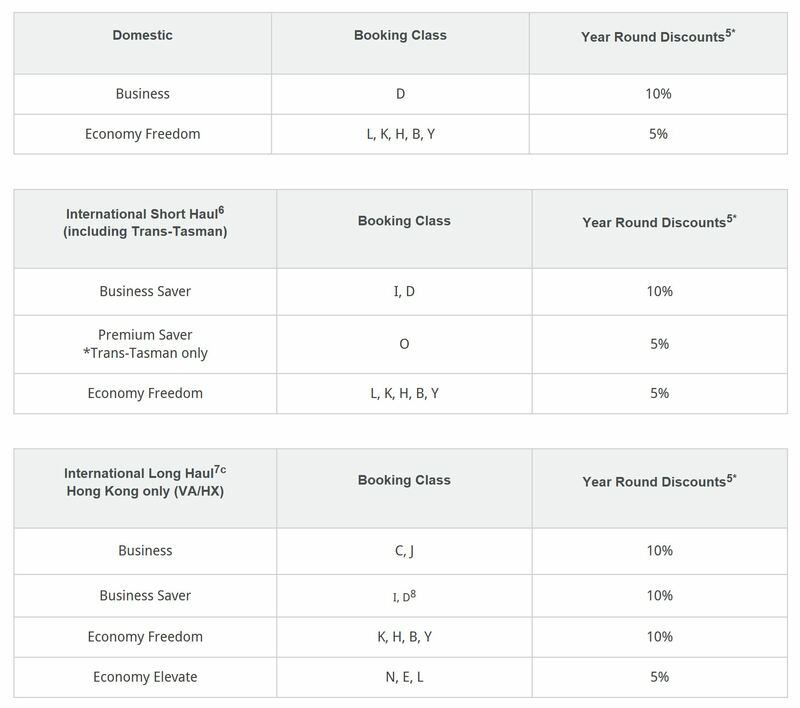 Earning 80 status credits can be achieved by flying one-way in Virgin Australia Business Class between New Zealand and Australia, or alternatively 1 return flight in Economy booked into the ‘Freedom’ fare class (flexi). The discounted fares must be for travel on flights with a ‘VA’ flight number operated by either Virgin Australia, Delta Air Lines, Etihad Airways, or Hong Kong Airlines. Flights operated by other Virgin Australia partner airlines, like Singapore Airlines, are excluded from these discounts, even if they carry a ‘VA’ flight number. Subject to your business spending the minimum amount of $20,000 on eligible flights, Virgin Australia will pay a Travel Credit to your business travel account in the form of a travel voucher. Eligible flights contributing to the $20,000 minimum requirement are those with a ‘VA’ flight number operated by Virgin Australia, Delta Airlines and Etihad Airways. For example, if your business spends $50,000 on eligible flights in a given year, the travel credit is $1,500, calculated as $50,000 multiplied by 3.0%. 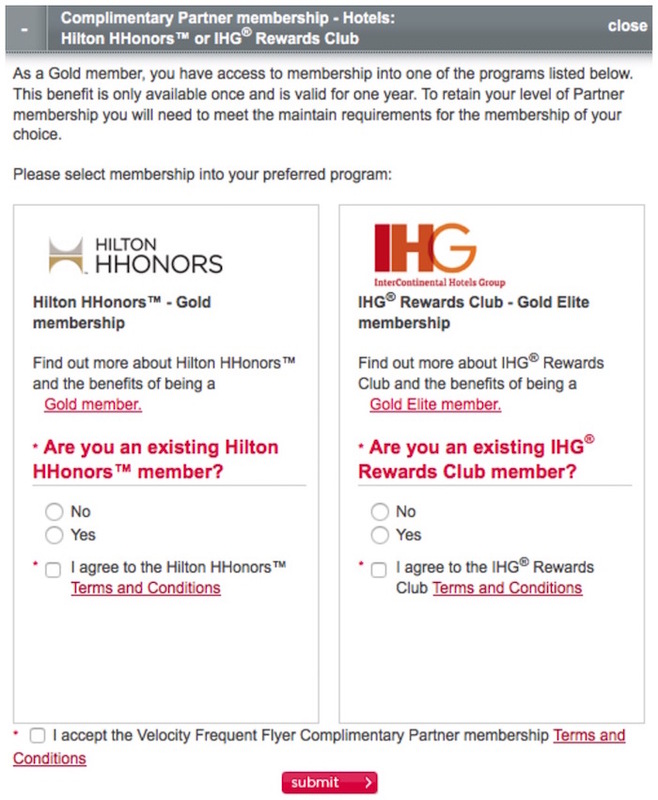 The above is for a Velocity Red Member. Access to all 12 Virgin Australia domestic lounges in Australia, the Strata Lounge in Auckland, the Manaia Lounges in Christchurch and Queenstown, and the soon-to-open Virgin International Lounge in Wellington. 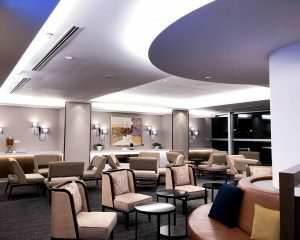 The Virgin Australia lounge network is growing in size and quality – here’s an overview of the best lounges. How does Accelerate compare to Air New Zealand’s SME offering? Air New Zealand’s offering to the SME market is its Airpoints for Business programme. While the Accelerate Programme employs a ‘discount to fares’ model, the Airpoints for Business programme employs an ‘additional points earning’ model and sits alongside the normal Airpoints programme. Small businesses and sole traders can earn 20% of the number of Airpoints Dollars that would usually be earned for the flight. 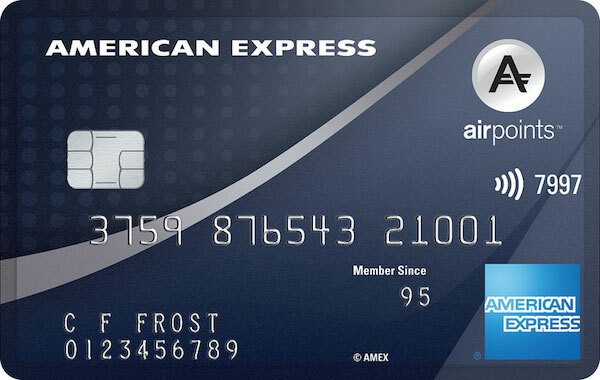 These Airpoints Dollars belong to the business, but can then be transferred either to yourself, or to any of your employees. Like Virgin Australia Accelerate, you can be a sole trader – e.g. a business that includes only one employee and therefore one Airpoints for Business flyer. The Airpoints for Business programme tends be more rewarding for those businesses that have employees who travel on expensive fares, where Airpoints Dollars earn rates are far higher. Similarly, the Accelerate programme offer discounts on fares at a sliding scale based on fare type, with discounts on Business Class fares being higher than on Economy. The Virgin Australia Accelerate programme offers a competitive offering to SMEs and sole traders, delivering benefits that reward ‘road warrior’ employees in a cost effective way for the business, while at the same time, reducing the overall travel expenditure costs of the business. 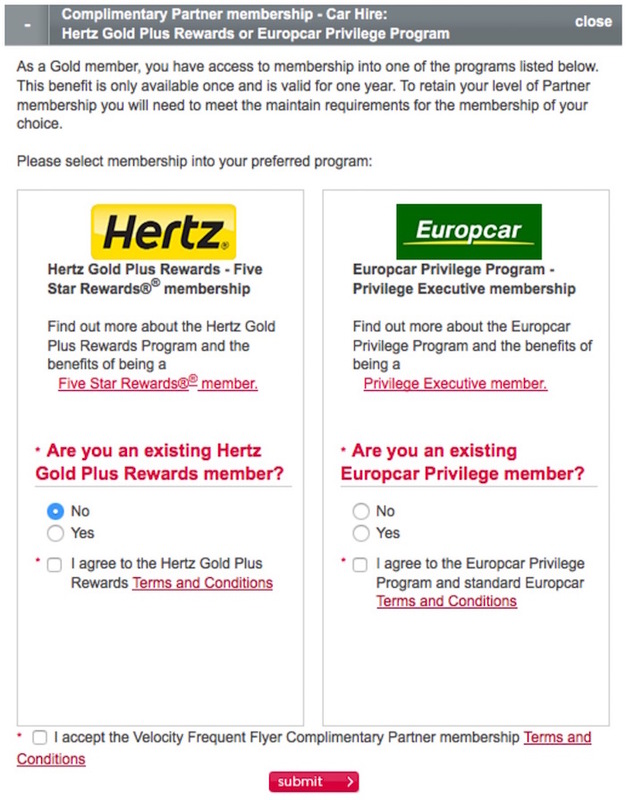 The Pilot Gold status is easily accessible for any entity with a NZBN and who is spending $2,000 on travel with Virgin Australia, so remember to take advantage of this when makes most sense – time it for when you’ll have subsequent travel to make use of the Gold status and hit the 80 status credits in three months and you’ll get to keep it for another 12.